Whatever Happened To Manila's Merlion? Products need branding so consumers can easily remember them. The same goes for countries who want to give their tourism industry a boost. After all, a postcard-worthy landmark is what defines a must-visit city: Paris has Eiffel Tower, New York City has the Statue of Liberty, and Kuala Lumpur has the Petronas Twin Towers. Singapore is another fine example. 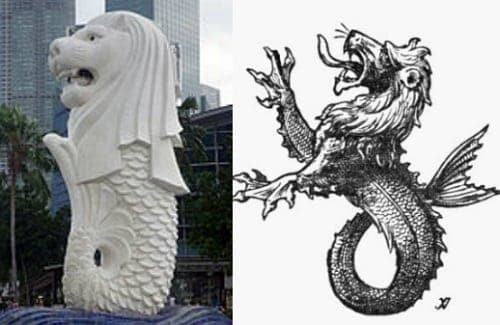 Although it is and always has been the “Lion City,” Singapore’s official mascot, the Merlion, didn’t exist until 1964 when the Singapore Tourist Promotion Board (now the Singapore Tourism Board) adopted the half-fish, half-lion as its emblem. Also Read: Whatever Happened To Manila’s Statue of Liberty? For the record, Singapore’s Merlion was not an imitation. When the symbol was first conceived, its creators had in their mind the story that supposedly gave Singapore its present name. Legend has it that in the 11th century, a prince named Nila Utama (also known as Prince Nilatanam) reached an island of what was then known as Tumasek which means “sea” in Javanese. According to Malay Annals, Nila Utama saw a strange animal as soon as he landed on the island. He was told that it was a lion, hence he changed the island’s name into “Singapura” (from the word singa which is the Sanskrit for lion). Take note that it wasn’t clear whether the animal was indeed a lion or a tiger, which is indigenous to the island. What is known though is that early Indian settlers of Singapore worshiped the goddess Mariamman who has a lion as her sacred beast. Now let’s go back to the Merlion. 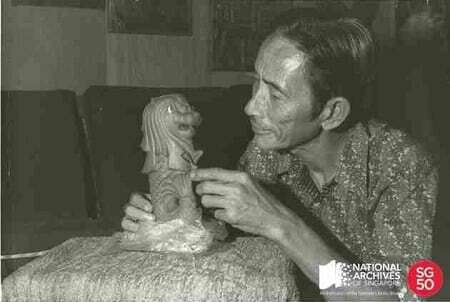 Its lion head obviously represents this ancient island of “Singapura” and the mysterious animal it was named after. Singapore first used the lion as its official symbol in the 1950s through its State Crest, also known as the National Coat of Arms. The merlion’s lower half, on the other hand, symbolizes Singapore’s rich history and current prosperity as a port city. 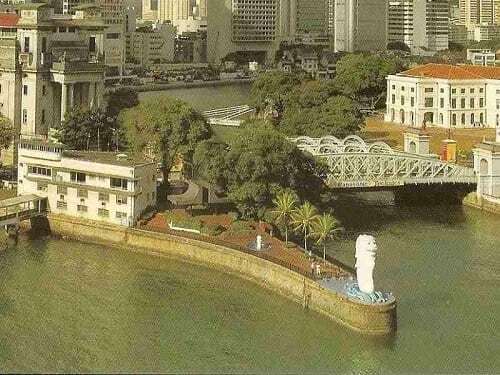 Several years later, in 1972, the 8.6 meters high merlion statue–made by a local sculptor named Lim Nang Seng–was officially installed at the mouth of Singapore River. Then Prime Minister Lee Kuan Yew hoped that the Merlion (which cost $165,000 to complete) would be associated with Singapore. And he was right: since its unveiling, the statue has become the icon of the now-progressive city-state. But unlike Singapore’s merlion, Manila’s sea-lion traces its roots to an earlier period. The legendary creature, also known as “morse,” had long been an element of Western heraldry. 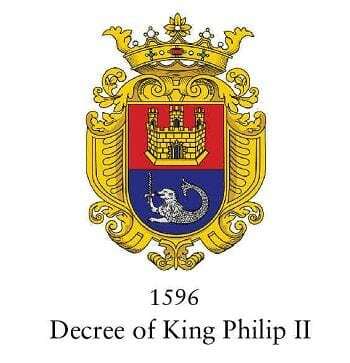 the Philippines was that of the City of Manila granted by King Philip II of Spain on March 20, 1596. Photo Credit: Presidential Communications Development Strategic And Planning Office. The same Spanish City Seal with the legendary half-lion, half-dolphin can still be found in every bottle of the century-old San Miguel Beer. A winged sea-lion with a crown and a sword also made its way to the Legazpi and Urdaneta Monument in Rizal Park. As fate would have it, Manila’s first city seal underwent a series of changes that saw its tower of Castile being replaced by a pearl in a shell, reinforcing the city’s reputation as the Pearl of the Orient. The sea-lion, although evolved, still remains as the symbol of Manila. It has also been adopted by the Philippine Presidency, where it “connotes strength and determination,” as well as different government agencies. Its counterpart in Singapore, meanwhile, is no longer the emblem of the Singapore Tourism Board (STB). However, the half-fish, half lion that has long been associated with their country continues to be protected under Section 24 of the Singapore Tourism Board Act (Chapter 305B). This speaks volumes about how Singaporeans respect and value their national symbol. 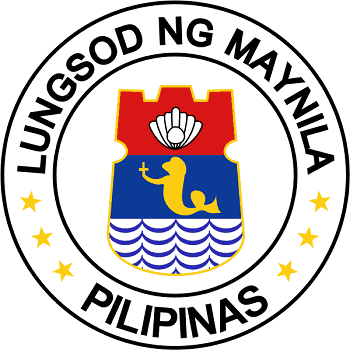 Seal of the City of Manila, Philippines. Via Wikimedia Commons. Now, if the sea-lion had been used as a symbol in the Philippines long before Singapore introduced the merlion to establish their identity, why then that the latter outdid the former? Perhaps it all boils down to effective branding. Or maybe it mirrors our blatant disregard of our history and national heritage (looking at you, Torre de Manila!). Either way, the Merlion has a lot of lessons to teach. Ocampo, A. (2012). Looking Back 6: Prehistoric Philippines (p. 21). 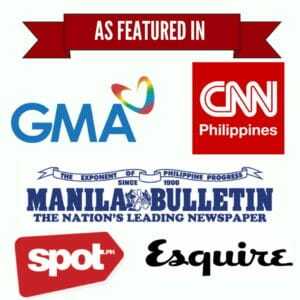 Mandaluyong City, Philippines: Anvil Publishing, Inc.